over-consumption of food and resulting diet/weight-loss products/services. He also discusses the booming child-care industry in Canada and questions how this could possibly be a good thing as this means parents are spending less time with their children (thus the need for full day kindergarten in BC – my addition). The chapter takes a hard look at the consumerist desire for (and perceived value of) economic growth; he brings to light the many costs of a growing economy that are detrimental to our children and society that go unnoticed and unmeasured. Society believes that we are doing well when the economy is growing but fails to consider many other aspects of societal worth – time, natural resources, care, education, health – and other parts that “make life worthwhile”. He questions the value of economic measures that do not take these other more important aspects into consideration. If we have high test scores , does this mean our children are truly learning how to lead a worthwhile life? How many of us have been “hooked on the illusion” that good standardized test scores equal effective learning and a quality education system? When we focus on the economy, we realize there are many ways that can drive growth that can unfortunately be harmful to society and, in particular, our children. 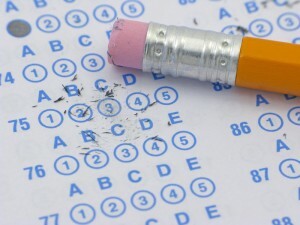 When we focus on standardized test scores, we realize that there many ways to increase these scores that can unfortunately be harmful to learning and, in particular, our children. I am not saying we should ignore the economy nor should we ignore the results of standardized tests but we need to reflect on the actual meaning of these measurements. With regards to education, I understand we want to know how our children and schools are doing but we need to ask ourselves: how much time do we want to spend analyzing these (mis)measurements of learning? How much time do we want our teachers and children spending on these tests? Can we place a numerical value on learning the skills needed to lead a flourishing life? I am pleased to have Sheila Stewart as a guest writer. I have been introduced to Sheila’s passion around education through Twitter and although Sheila is from Ontario, her thoughts on technology, standardized testing, and learning reach far beyond that province and her words tie in well with BC’s discussion around the local standardized test, the Foundation Skills Assessment (FSA). A recent editorial noted the variety of literacy activities highlighted locally during Ontario’s Literacy Week. The editorial, “Measuring Literacy” (Sun., Jan. 27) touched on technology, literacy, standardized testing, and associated outcomes. I also believe there are many ways to foster literacy development and demonstrate that learning. Everything is very connected, and impacts can be both negative and positive. The influence of technology can be overwhelming, but I have remained willing to consider the positive opportunities for education. I have continued to see examples of how technology as one tool in the learning environment can provide many opportunities to further support literacy, communication, collaboration, and engaged learning. As with any new technology, the use of it as a teaching tool can only be as effective as the training and experience of the teacher. Digital literacy doesn’t necessarily promote the use of sub-standard language skills per se. As with many things, there are always many variables that can impact skills and outcomes. I am aware of many educators in Ontario and in other provinces who care deeply about creating authentic learning opportunities to help their students’ strengths, passions, and individual growth as citizens. 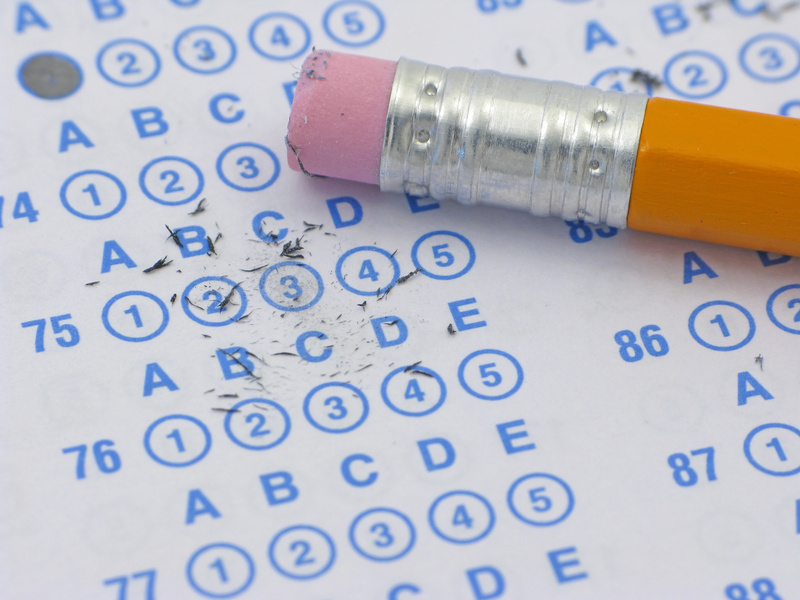 There is much more to supporting learners that may not be reflected on a standardized test. And much more feedback on learning is important for students, and for their parents as well. If the individuals who spend time in classrooms are expressing concerns about the impact of standardized testing on the learning environment, then I say we should at least have a listen and not conclude that it is only about a fear of being evaluated themselves. It is my understanding that current standardized testing in Ontario is more of a “system” measure and much less to do with information about individual students and teachers. I would also be cautious in saying that “parents”, in an all-inclusive way, value the information from standardized tests. Parents are diverse, as is our province. I know a number of parents who have become unsupportive of standardized testing and have concern about the impact of so much focus on these outcomes. Can we feel satisfied that all is well based on reports of one set of data? There must be something valid to the concerns about standardized testing if so many provinces are involved in a debate about their usefulness in supporting student learning. I agree with the writer of the editorial, “Good education is essential to Ontario’s future.” For us in the north, I hope we continue to dialogue with all partners in education and keep asking the questions of why….what does that mean….what else is needed….is that enough….how can we help….as well as, what is possible with technology?